The weather is a bit on the dreary side in St. Louis today. I sort of enjoy these rainy days, because they remind me of Surrey – where the weather is pretty dreary on a regular basis. 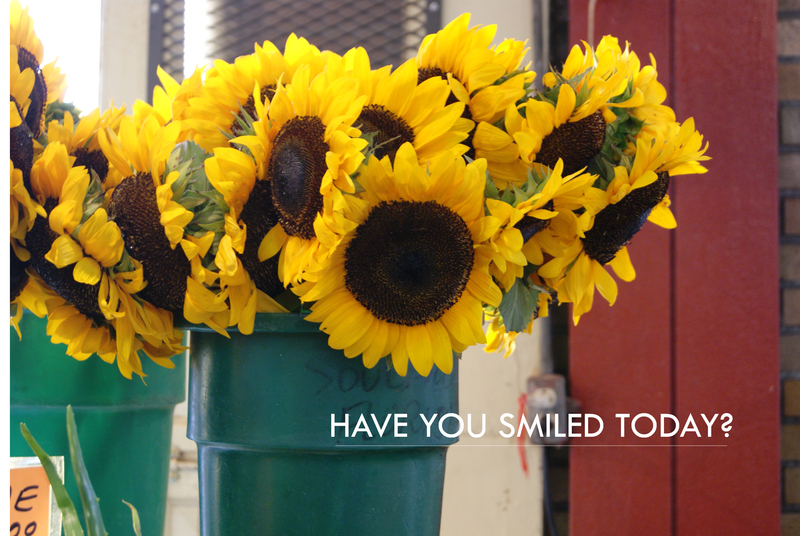 Regardless of the weather, we’re finding reasons to smile today. As Buddy the Elf would say, “I just like to smile, smiling’s my favorite!” We’d love to hear what’s got you smiling! So dreary – I didn’t want to get out of bed today! It’s the perfect day to lay on the couch and read a book. Siiiiiigh. Thanks for this post! Need a bit of a smile recently! Given that today, the day I’m reading this, is every bit as dreary as how your day of posting was, I can tell you that as soon as the giant bouquet popped up on to screen, I felt a rush of ‘feel good’ – like a break in the gloom! These are beautiful and yellow is such a forgotten beauty when it comes to flowers!! Thanks for the smile factor! !